Ever since my first time shooting at this location, I always imagined how awesome it would be to create a stunning sunset photo of this scenary by masking all the cars out in Photoshop. It was difficult to accomplish because the conditions must be right to create what I imagined in my mind. 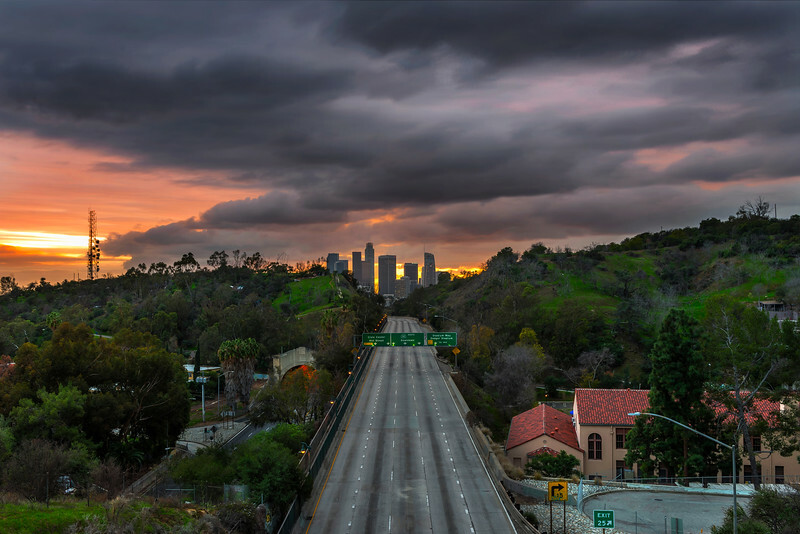 There must be no traffic on the freeway (always traffic Monday thru saturday), clouds out to create drama in the sky, and a stunning colorful sunset. I have shot at this location many times hoping that I would get those 3 conditions but they always fell short. Finally, yesterday all these conditions were met where I can create the photo that had visualized in my head for so long.